So you want Plot? Woody Allen bought a Japanese spy movie, removed the voice track, and replaced it with one of his own. He doesn't seem to have bothered with the original script at all. Typical Joke: "Back off! My secret spy camera has taken pictures of you all through your clothes. Unless you release me, your naked photos will be sold in every school yard in Tokyo within the hour. Unless you are totally comfortable with your body, you must release me." Very funny, but also very unusual. Very funny...in places Most of Woody Allen's films do not hold up well over time or outside a specific demographic. He seems to make his films for people just like him, jewish pseudo-intellectuals who feel a little left out. To "get" most of his humor the audience has to have his mindset. This movie is one of his more accessible comedies, but he was, even at this point, writing to impress New York audiences and New York sensibilities. Not many people in the Mid-West are going to understand the obsession with Egg Salad or the use of names like "Wing Fat". Yes, this movie pre-dates the whole Mystery Science Theatre "schtick" by decades, Firesign Theatre would also do a film like this based around a science fiction serial in the 1970s. There had been some silent movies remade as shorts in later years that had snatches of dialogue added in for humorous effect. The technique was not totally new here. Are there 27 different versions of this movie out there? Is the funniest one the only version you cannot possibly see anymore? Who knows? Who cares? If you do, I don't want to know you anyway. The "version" I have seen was funny enough. Great gags, great mid 1960s music, great way to spruce up an otherwise incomprehensible spy movie.The gag about the film stopping so the projectionist could retrieve a hair on the image was influenced, obviously, by the opening credits of "The Great Race", released the year before in which a fly is chased around the screen with a stick. This bit in Woody's film was a little overlong, I mean, you saw what he was doing, you chuckled, time to move on. All in all, worth watching. Funny film in places, hysterical in some, dead in others. If you are a fan of Woody's films, definately worth watching, I saw it as part of a film festival of late 1960s counter culture type comedies and it fit in well. 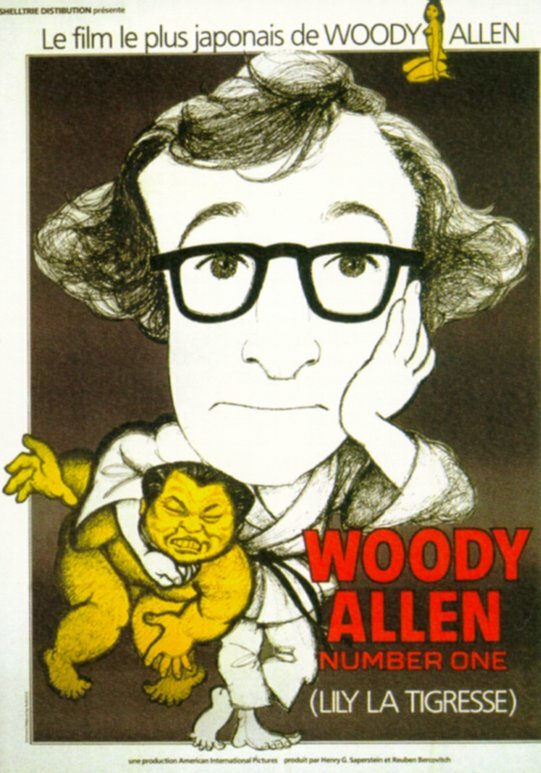 Knowing Woody's later scandal with Soon-Yi , watching him swoon over Asian girls, especially as the end credits roll, will seem a little strange.